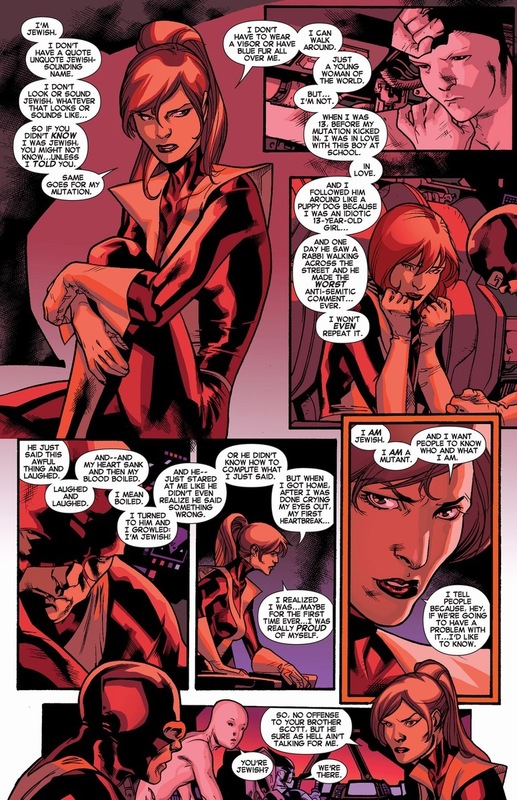 I was reading All-New X-Men #13, written by Brian Michael Bendis and drawn by Stuart Immonen, and they were commenting on Havok’s controversial speech from Uncanny Avengers #5 a few months back. Remember this speech? “I read the issue and I read the outcry, and if I’m right, basically people are mad that Havok rejects his identity as a minority? Fans are mad because the X-Men are supposed to represent the ‘minority’ — whether that’s by religion, race, sexual orientation, interest, etc. — and Havok states that we should assimilate instead of celebrate diversity? Y’know, I didn’t actually think about this until now, but I think the outrage’s overblown. 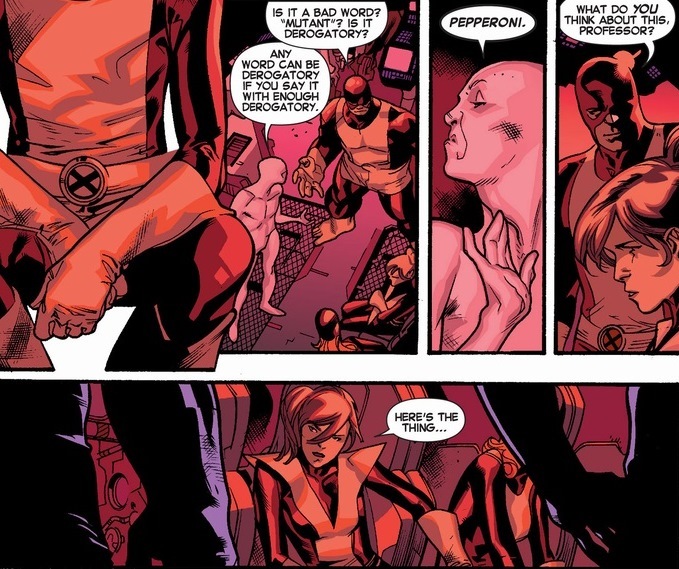 I get how comic book fans might be bullied or ridiculed, and the X-Men are that fantasy of staying true to the fans’ passions just with laser eyes or wings or whatever to defend themselves. I mean, I’m Jewish, and we have a whole history of being hated on as the minority scapegoat, but I’d rather see the X-Men defeat bad guys than rise up as a minority power. As in, aren’t they superheroes first and mutants second? 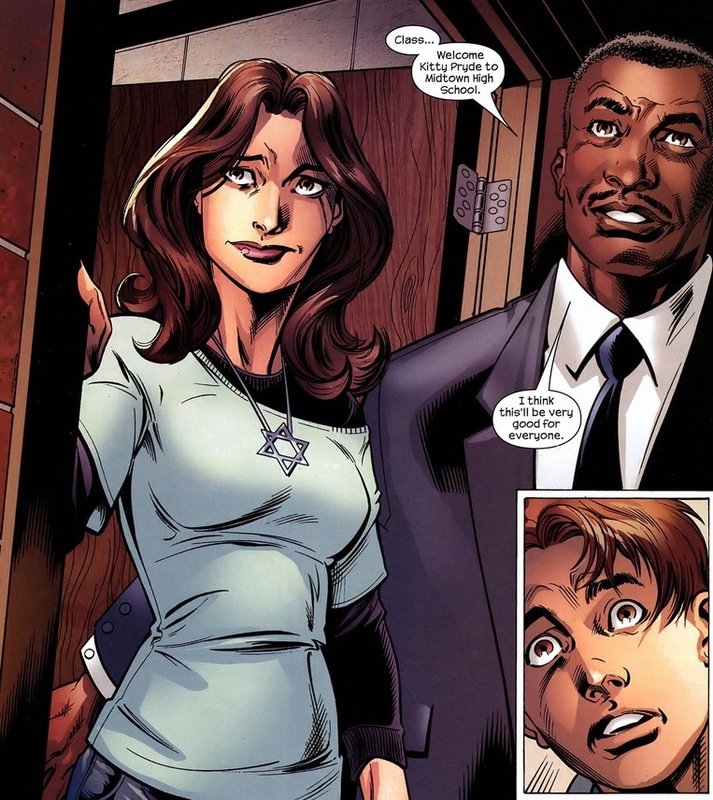 So Kitty’s speech had me thinking — who are the other Jewish superheroes? And more importantly, I should celebrate them! Fictional sure, but they’re still part of Judaism’s culture and history. I’m going to share some of them with you over the next few days. 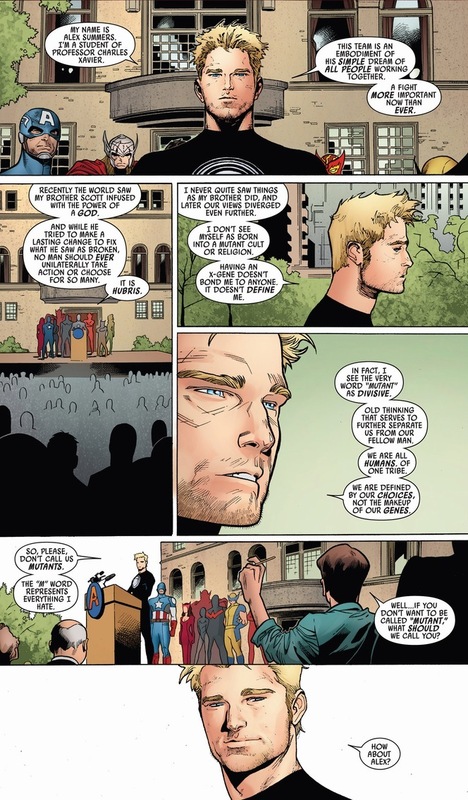 I highly encourage you to look into the superheroes and supervillains of your own religion, whether that be Catholic (Daredevil, Nightcrawler), Muslim (Janissary, Dust), Atheist (Hank Pym, Mr. Terrific), etc. But since I’m Jewish — well, that’s what my focus’ll be on. 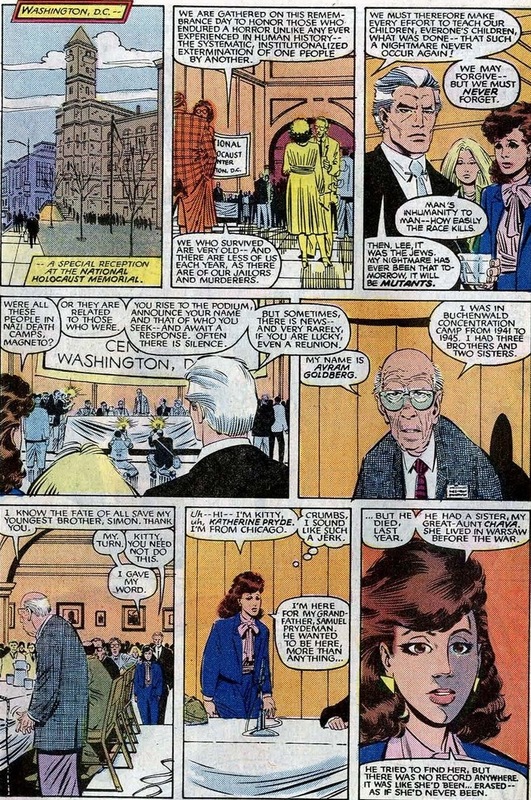 We’ve already mentioned her, so let’s start with Kitty Pryde. Before you dismiss that giant Star of David necklace as a mere accessory, know that it saved her life on more than one occasion. 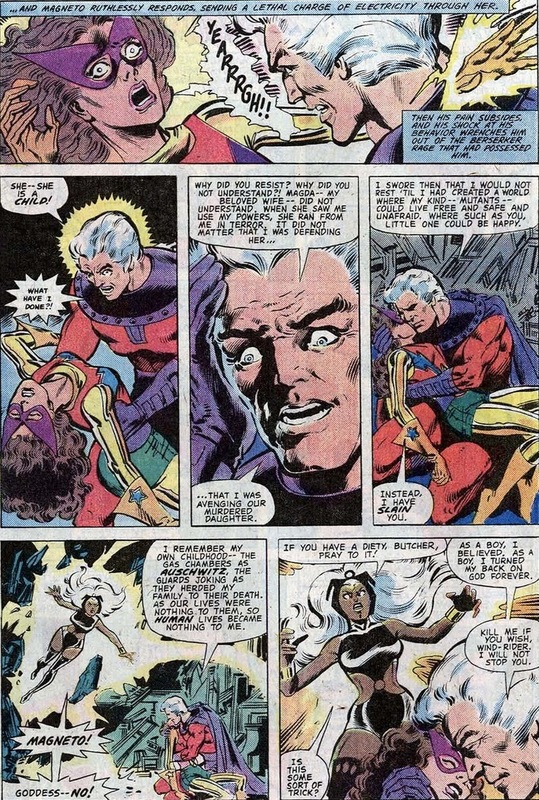 Such as when she fought Dracula in Uncanny X-Men #159, written by Chris Claremont and drawn by Bill Sienkiewicz. Let’s talk about Dracula for a second. Of course a fictional universe filled with kids who fly and shoot fire from their hands would also be populated by other wacky fictional monsters. Vampires, mummies, werewolves, etc. remain a big part of both DC and Marvel. Frankenstein even received his own solo series for a while. And why not? Frankly, that doesn’t take away from the religious impact of some of these superheroes simply because they live in a sometimes silly world filled with weirdos. Yes, the comic book world has Aztec zombie resurrections. Occult magic spread throughout thousands of dimensions. Space aliens with armadas that span solar systems. Toxic waste that grants amazing superpowers. So why not religion too? 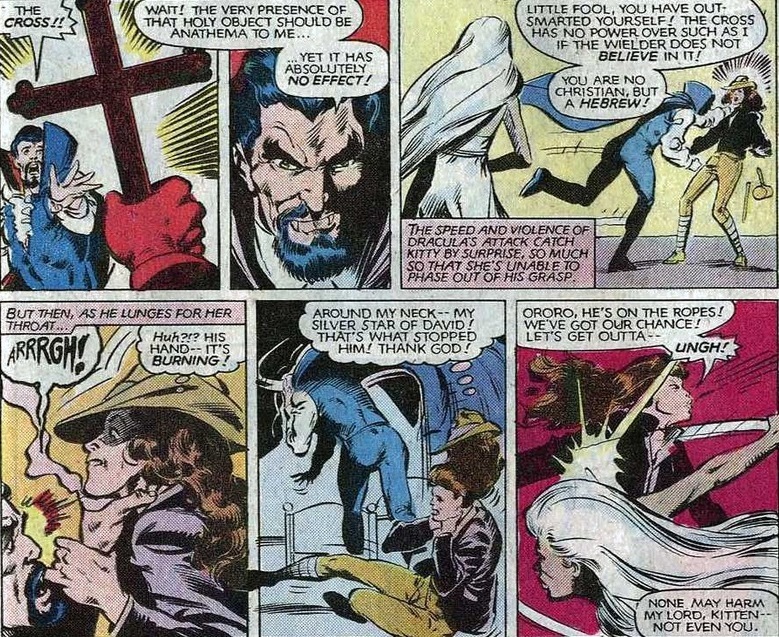 If Dracula can pummel the X-Men, is Kitty being devoutly Jewish really that much more of a stretch? Do we really have to suspend our disbelief about Nightcrawler being a Catholic priest when he’s also blue, furry, and can teleport? 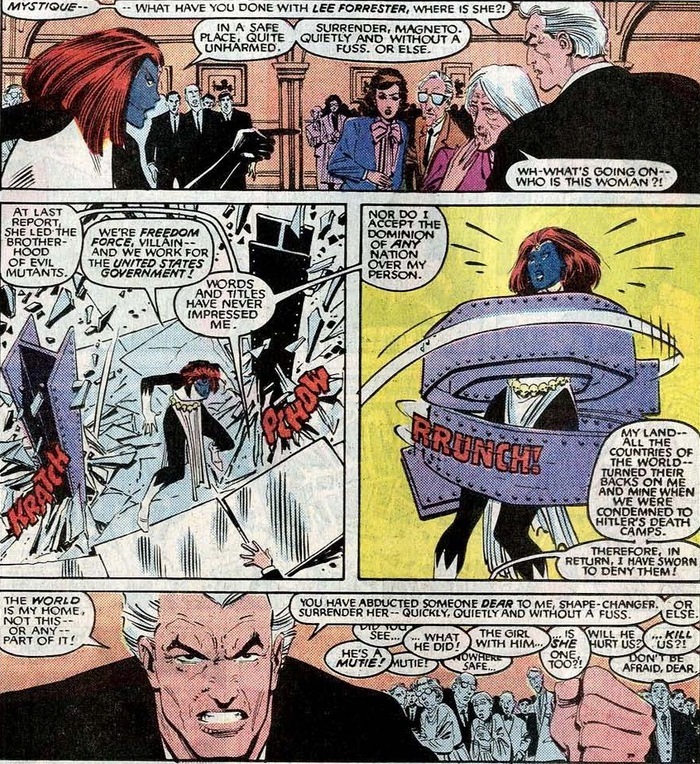 Mystique attacks because superhero comics still require a punching quota, but it’s Magneto’s speech that does more for his character development than decades of battling the X-Men. Magneto’s desire to see his own minority people (mutants) rule the world so they can no longer be persecuted or attacked makes a lot more sense when you realize he saw his own Jewish people massacred during his childhood. Though his methods have seemed a bit like the Nazis at times, that’s a very different argument. 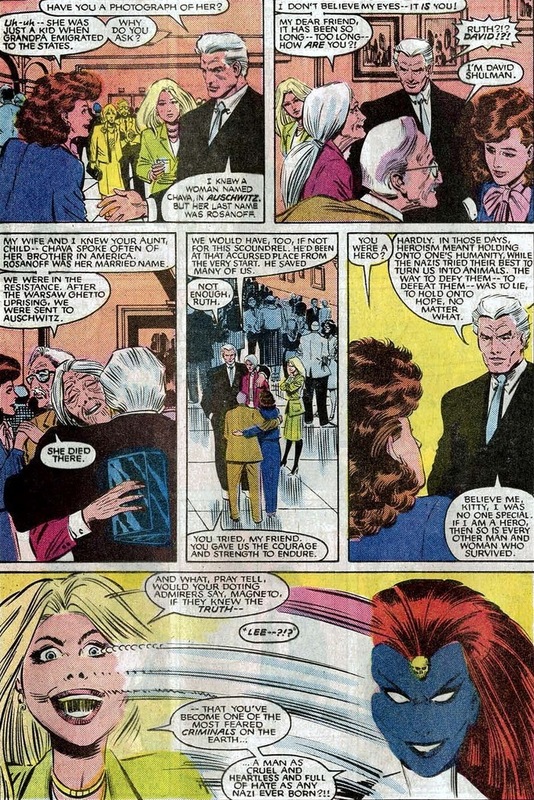 Nowadays, Magneto’s a bonafide superhero and I catalogued his redemption (which also involved Kitty) here and here. Greg Pak wrote a spectacular miniseries titled X-Men: Magneto Testament which chronicles Magneto’s childhood in the Holocaust. I’d write an article about it, but it’s not really a superhero comic. Yes, Magneto’s the star, but not once does he wrap Nazis up in their own metal guns or lift Auschwitz off the earth and flip it over. Still, as far as Holocaust comics go, it’s on par with Maus. While I have about forty pictures and five superheroes left, I’m already kicking about a thousand words today. Let’s do part two tomorrow and finish with part three on Wednesday. You’re totally worth it. Magneto: Testament is one of the most brutally powerful comics I’ve ever read. It is just soul-destroying stuff. I don’t know if you plan on featuring it, but a year or two ago, Marvel put out a series of Holiday one-shots. One of them had Thing going to a gathering of a bunch of Jewish heroes. It was Kitty’s idea. Some of the heroes who made it were Sasquatch, Songbird, Wiccan, and a couple others. I’ve always liked Kitty’s pride (not a pun) about her Judaism. It was obvious from her first appearance, and it’s something that’s always helped define her. The way a lot of artists show her wearing a Star of David is a very nice touch. You have my attention. I have a Doc Samson Hanukkah one from 1992 I’m going to show, but I’m looking into this one ASAP. Thanks! It was the Marvel Holiday Special from 2011. It has four really cute stories, one of which is a Hanukkah one. Thing, Kitty, Songbird, Sasquatch, Wiccan and Moon Knight, though all but Thing only appear at the very end of the story.